What happens when you are pulled over by the police? Helpful information on why the police pull drivers over, what might happen if you’re pulled over, and how to help avoid it happening to you. If you’re out driving by yourself, especially if it’s late at night, the thought of being pulled over by the police can be a scary one. This page provides some helpful information on why the police pull drivers over, what might happen if you’re pulled over, and how to help avoid it happening to you. Lane use (e.g. hogging the middle lane). If a police car signals for you to stop, you must pull over. Did you know? It’s against the law to refuse to pull over when requested by the police. Don’t have them with you? Don’t panic. You’ve got 7 days to produce the documents requested, by taking them to a police station. Again, it’s against the law to fail to do this. If you’ve been guilty of a minor offence (see above) the police officer might give you what’s called a fixed penalty notice. You could be fined up to £100 and may get points on your licence. Find out more about fixed penalty notices here. In some circumstances the police officer might ask you to take a breath test. Beware: if you refuse to do the breath test you could be arrested. The officer will be able to see the results of the breath test immediately. If it proves you’re not over the alcohol limit, you’ll be allowed to continue your journey. If your vehicle has been deemed unsafe (for example one of your lights is out), the police could give you a ‘vehicle defect rectification notice’. You will then need to ensure your car is fixed, and give evidence of this (like a receipt from the mechanic) to the police within 14 days. In some situations, the vehicle signalling for you to pull over could be an unmarked police car. Understandably some drivers, especially if travelling alone at night, may feel vulnerable if this happens. It is first worth noting that while an unmarked police car can pull you over, it must contain a constable in uniform who carries out the stop. “Try and signal that you have acknowledged the request to stop and indicate the action you are taking (put your flashers on or signal by pointing from the driver’s window etc.). Don’t drive off at great speed making the police think you are trying to get away. Click here to read the full advice page. Check all your lights regularly to make sure they’re in good order, and make sure you switch them on when it’s dark. Stick to the left-hand lane unless you’re overtaking or turning right, or the road markings instruct otherwise. If you feel unfit to drive, try and make other arrangements for your journey. If it seems like you might be driving distracted (for example weaving from side to side or far too slow for the type of road), it is likely the police will pull you over. Take a moment to make sure your MOT, car tax and insurance are all up to date. You can check that your car shows as insured on the Motor Insurance Database at http://www.askmid.com/. If you keep to speed limits and are careful and considerate on the road, you’re helping reduce the likelihood of being pulled over. Don’t let yourself be tempted to use your phone while driving, even if you’re sat in traffic. 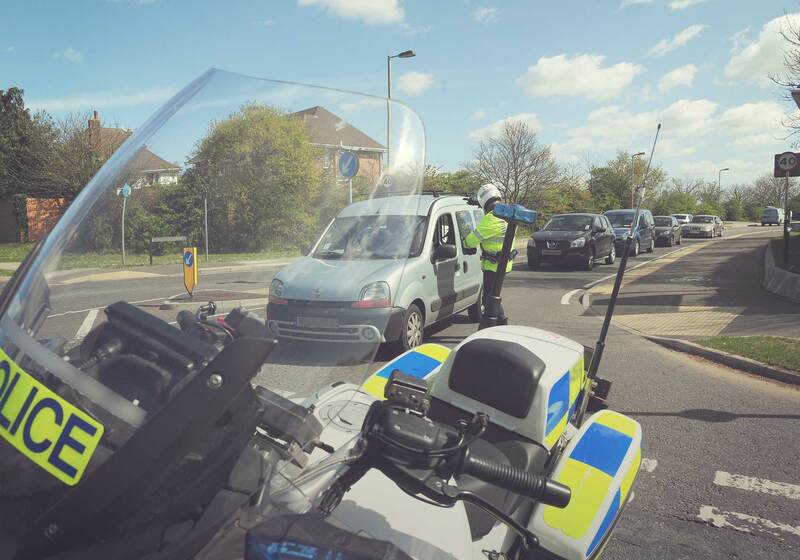 Traffic offers receive training so that they can spot faces lit up by a mobile phone in the car – so don’t expect to get away with it even if it’s only a glance!